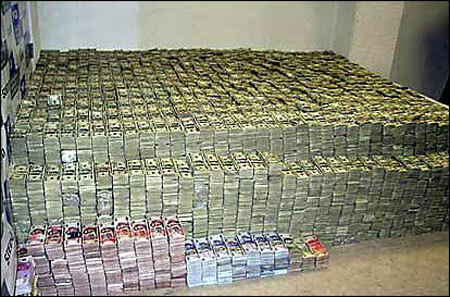 Phoenix, AZ—Some Mexican drug cartel allegedly just put a $1 million bounty on Sheriff Joe’s head. Somehow I don’t think they could be trusted to pay up if someone actually whacked that lawman with the TV camera fetish. This sounds more like a political campaign manager’s scheme than reality. The failure of the Drug War has been nothing short of spectacular considering the endless billions of dollars wasted on it. The only benefit of the Drug War is that billions more in illicit profits enrich criminals both inside and outside of government. Drug laws do nothing to curb use, addiction, or deaths. People prone to addiction are in no way deterred by the laws and that the prohibition makes the drugs even more attractive. Those addicted pay handsomely for products that cost no more than tea or coffee to produce. Drug law enforcement only drives up the price and profits. Those concerned about deaths from overdoses need to examine the thousands murdered every year over drug trafficking related events. The overdoses are miniscule in comparison. The Drug War has caused the migration of the worst criminals south of our borders looking to profit through the artificially high price of drugs set by the Drug War. We need to put all of the Drug Lords and Drug Czars out of business in a single day through legalization. The USA would no longer be a magnet for international criminals. We need to avoid taxing, or in any way regulating drugs beyond protecting children and using zoning laws to keep drug blight away from populated areas. If we try to regulate the drugs we will just make more opportunities for criminals. The war on drugs is not winnable,but it is fundable.